Hurricane Sandy forced millions of North-easterners out of their travel routines, closing down regular transit routes and services. It also spurred a boomlet in online and mobile searches for alternative transit, as well as weather. 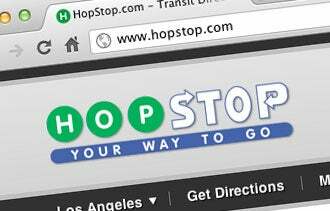 HopStop, a 20 person, four-year-old site, says its traffic for “non subway” searches was up over 800 percent. Biking, taxi, walking, hourly car rentals and biking usage was way up. Bus-only searches were up over 1000%, and bus-only searches were up over 1300 percent. At the same time, subway/train-only searches were down over 30 percent over the same time frame (due to many of the subways and trains being out-of-service). The site, which relies heavily on crowd-sourcing for transit route updates, serves 102 major markets in five countries, including the U.S., Canada, U.K, France and Russia. About a dozen more will be added in coming weeks. In early 2013, there are plans to expand to Southeast Asia. HopStop self-reports that it is the #1-ranked transit app in iTunes, and the #4 ranked free navigation app in iOS overall (after MapQuest, Waze and Telenav). It recently got a boonfall when it was selected as one of the transit defaults for Apple Maps. The lion’s share of HopStop’s usage has traditionally comes from the Big Apple, its headquarters city. But with all of the outside growth, New York now accounts for less than 50 percent of its traffic, says CEO Joe Meyer. “We’re in every MLB, NFL, NBA, NHL and MLS market,” he notes. Until recently, HopStop’s major revenue model was geo-targeted ads sold by its own network. The site can sell location aware adds based all current and future whereabouts. “Anyone interested in knowing where people are,” says Meyer. But the company switched in mid-2012 to using Travora (formerly the Travel Ad Network.) “They have the arms and legs to sell ads,” says Meyer. Top advertisers include such brand names as JetBlue, Delta, Macys, Dunkin’ Donuts, JC Penney, BofA, American Express, Capital One, Disney, Starbucks, ZipCar, Monster, CareerBuilder, as well as major tourism boards and convention bureaus.